Thank you so much!! I loved this and sent a forward to a bunch of friends. Thank you Kathy, I recently read Richard Strassman,s work ‘DMT and the Soul of Prophecy’, but have not gone any further with it, DMT being disallowed in Australia, and my reluctance to experiment personally with chemicals anyway. But I was wondering if the Beings in the Eighth Dimension might be persuaded to provide us with a DMT-algorithms program for inducing/increasing psychic abilities into T8 users, if they feel this to be permissible at our present stage of evolution? Much might depend upon each individual. I understand, Jane. I have always had VERY VIVID dreams. People visit me in my dreams and give me their testimonials, full names, and addresses included. My vivid dreams stopped with cpap also. Recently, tho, they have come back…several a night, since I moved up in elevation and have been having o2 problems. There is definitely a connection. I have not ( until now ) put it together that the hard lick I had on my forehead when I was under three years old, standing up in the seat of my parent’s car and my father hit the brakes suddenly, I busted my forehead on the windshield. That resulted in medical attention and a long scar on my forehead that to this day is still very visible. I begin to see Spirits before age five years old, I believe it was age four and my abilities for psychic and mediumship abilities are and always were very high. I suppose the hard hit on my forehead could be the connection I never put together. All these years, I hate the scar and now I realize it may be what makes me, me. I always wear a bang to cover it completely. I realize no way to know at this point if the hit was the cause, but I didn’t consider that hard knock in any way, part of the equation, until now. Thank you for posting and opening up my other eyes!! I need my pineal gland to work. How can I get it started? 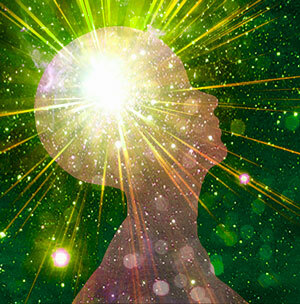 Golden light to the pineal with pineal activation as the music.Maybe add brain boost and forehead, and of course, your intention is key. 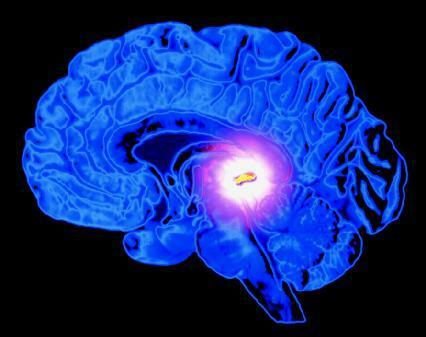 The radiant rose group in Canada uses high amounts of melatonin to activate the pineal. My son died of cancer I was with him when he passed and I saw bright colors rippling inside his face he was holding his breath. The colors were florisent green , yellow, orange, and pinkish. His face was transparent. I was very close to my son we loved each other greatly heartfelt love pure. My daughter was there and she did not see anything. When he released his last breath the colors seemed to go out the top of his head. He was with me for many days after his death, as different things occurred. Can anyone explain what I saw at his death. I believe it was his spirit and soul leaving his body.we are Christians and believe in Jesus Christ. I know I’m a bit late to the discussion. But I recently had a DMT induced Psychic episode, and came across this article. I’ve also had 2 other completely non-drug related experiences one at 17 and another in my mid 20’s. The quick and short of it was… About 2 weeks ago, I had a lucid dream (Nightmare would be more apt). It was a very vivid dream, that started with me sitting on a couch looking a friend “M” square in the eye across from me. As I looked at M, fear instantly began to set in, as I had an overwhelming impression that I experienced this before. I knew what M was about to say, I had to look away putting my head back on the couch and staring at the ceiling. But as I did that, I remembered the ceiling and the fact I did the same thing the last time. then said “And he’s gone”. The same words I feared would come out of her mouth. I literally hit my like a ton of bricks. I was struggling to understand how I could of experienced all this before. Am I trapped? How many times did this happen? All the time, my friends (M & L) continued to talk each and every word was as the last time just as I remembered. To make matters even worse, as I was having the thoughts I was remember having the thoughts and remembering how it blew me away which blew me away further, which was what I also remembered. I kept wondering, how many times did this happened? What is going on? I wasn’t comatose either, I lifted my head back up, as I struggled to explain what was happening. It was a crazy dream. Upon waking up that morning, I didn’t immediately remember the dream. Only later as I was taking a drive alone, did I think of my friend M whom I hadn’t seen for a very long time (as we had a falling out). The thought of her immediately brought my dream to mind, and as I sat there waiting for the red light, I spoke out load to myself in the car… “Wow that was a weird dream”. But I was also intrigued by it, as I never had a dream of that mind bending nature. A week or so goes by, and I mended fences with my friend M, and my friend L was also present. The topic of DMT came up and L expressed interest in trying it So ultimately we decided we would try it sometime soon…. That brings us to last Friday. M, L and myself all went to M’s as she just moved into her new place a few days prior. L went first, M wasn’t doing any. And L only agreed to do it if I did too… Any way’s it was my turn. I sat on the couch and took my first toke… Held it… Blew it out. Took my second toke, As my hands started to shake a bit and the feeling started to kick in. I looked across from me at M. And YEEP. The exact sequence of events took place to the tee, every thought, everything that was said, Panic began to set in, I had to put my head back on the couch… OMG it’s the ceiling, I remember. “And he’s gone” M says… Boom boom boom, thought after thought, word after word, everything that occurred to the finest detail. It was completely mind blowing. It should be noted I was moving and functional during the whole experience, I didn’t lose consciousness or even see color’s or hallucinations. The only effect was rounding off of corners for the most part. The trip itself was purely transcendental in terms of opening a window to the past that allowed me to have the memory which retroactively caused the future. It’s totally amazing experience… If I never had the dream, the experience would of been something else entirely… Totally fascinating. Hi Kathy. I did have hints of psychic ability as a young man. At 29 years of age I had a scuttle (round waterproof hatch) on a Navy ship fall on my head due to a defective latch. I spent 5 days in the hospital at Gitmo before they released me, they still don’t know why I didn’t kill me. In my early to mid thirties I realized I had a psychic gift and in my spare time would do parties and events. I’ve noticed a large improvement in my abilities in the last 2 to 3 years. Interestingly enough enough, I realized I’ve been on a CPAP machine for the last two or three years. I wonder if it’s pumping more oxygen into my brain and that’s why my abilities have improved so much.